For years, the hubs and I have searched out local Vietnamese and Thai dive bars (or hole in the walls like we like to call them), in an attempt to find the best pho. Hubby and I love all sorts of soup, particularly the spicy noodle variety. “You are a chef. Can’t you create a pho for us?” Said hubby on a particularly snowy and frigid Sunday afternoon, when one of his pho cravings hit him. This unpleasant weather was not at all encouraging to go out for any soup, especially with a 5 year old and a 5 month old in tow. So I of course took responsibility into my own hands and decided that today was the day I would learn how to make a pho…in my trusty Instant Pot. By the way can we have a side bar here? 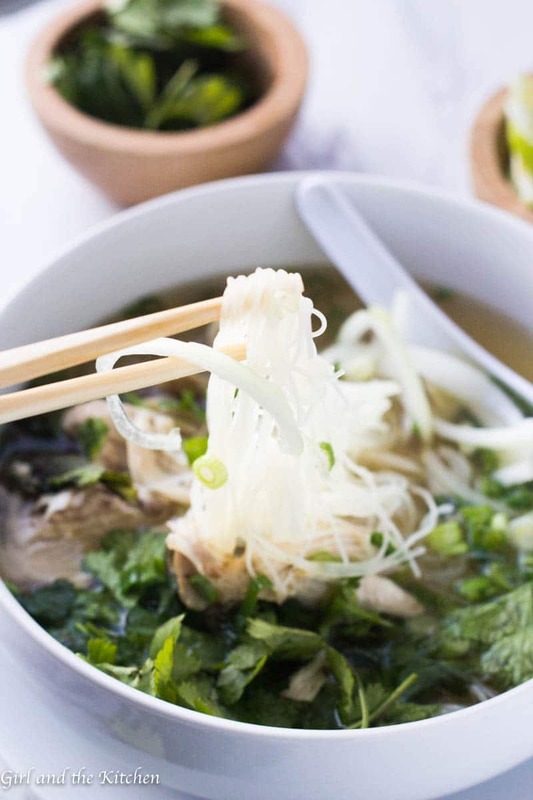 Did you know how to properly pronounce pho? Pho is pronounces FAA. Not FO. Here is the deal, a typical pho takes hours upon hours to prepare. And requires a plethora of ingredients I did not have on hand, such as beef tendon and beef bones and well, any beef at all to speak of. I did however have chicken. I had 3 beautiful bone in, skin on farm raised chicken breasts…the best kind of chicken breasts. Aside from not having the beef, I actually did have all the other ingredients needed for a glorious pho…except for time I did not have too much time. Hubby was getting hungry as was the little 5 year old munchkin and the 5 month old was grinning at me from ear to ear for now…I knew this was short lived. So I knew that the Instant Pot was my only way to go. And so the Instant Pot Pho was born. 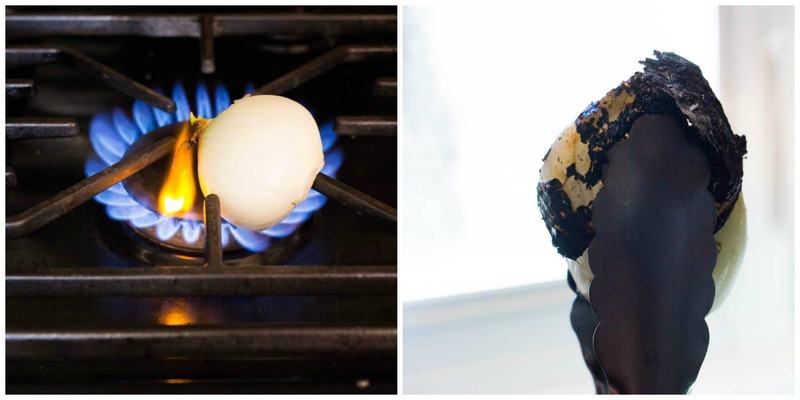 Charring Onions and Ginger: Believe it or not traditional pho does not consist of too many ingredients. It is what is done to a few of those ingredients that will make all the difference. Charring the onions and the ginger over an open flame is essential to my Instant Pot Pho…in fact it is essential to any great pho! When the onions and ginger are charred, they add a certain level of complexity to the pho but more than that they add a deep smokiness and the charring of the onions adds a sweetness that really helps balance out all the flavors in the broth. Now just so you understand, this is not a light toasty color…this is a true char. Deep and crusty. Traditionally this is done on an open fire, so in the warmer months a grill would be perfect for this. However, having done this on a particularly snowy day, I used my stove top. 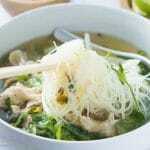 Spices: A traditional pho consists of only a few different spices. 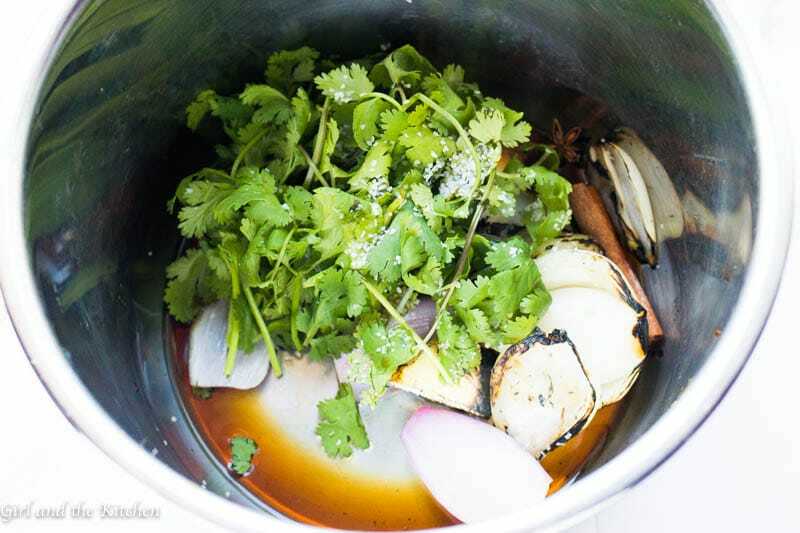 These few spices add a complexity to the flavor of the broth and an authenticity. The classic spices are cinnamon sticks and star anise. Sometimes, cloves, cardamom and coriander also can be added. However, I opted to stick with just cinnamon sticks and the star anise for my Instant Pot Pho. I find adding in all the other spices can make the broth a bit too overpowering. The most important thing of course is to have fresh spices. 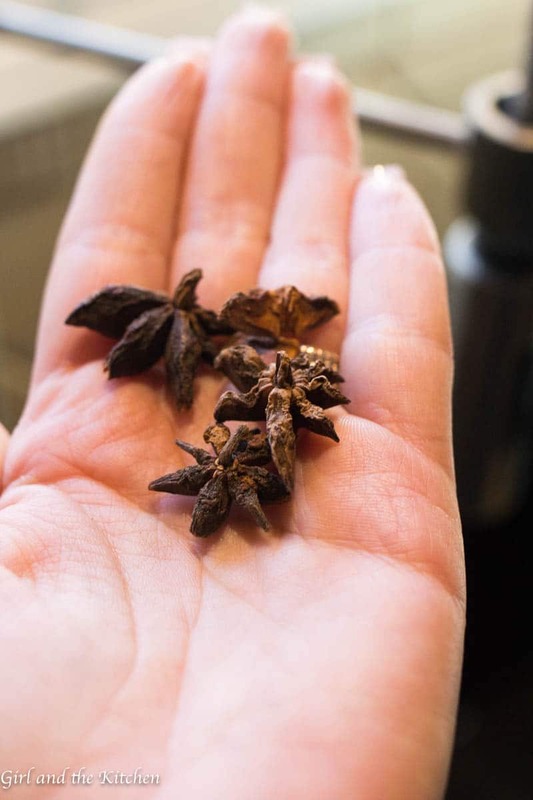 When spices have been sitting on the shelf for a long period of time, they air out. And sadly they lose their flavor which is a no no. Make sure you are buying your spices from a reputable purveyor as well. It was not until I started to buy my spices from Love That Spice that I understood what fresh spices actually meant. A very small amount needs to be used in comparison to the usual poorer quality ones from the grocery stores. Also you really want the spices whole because the ground ones will cloud up the broth. 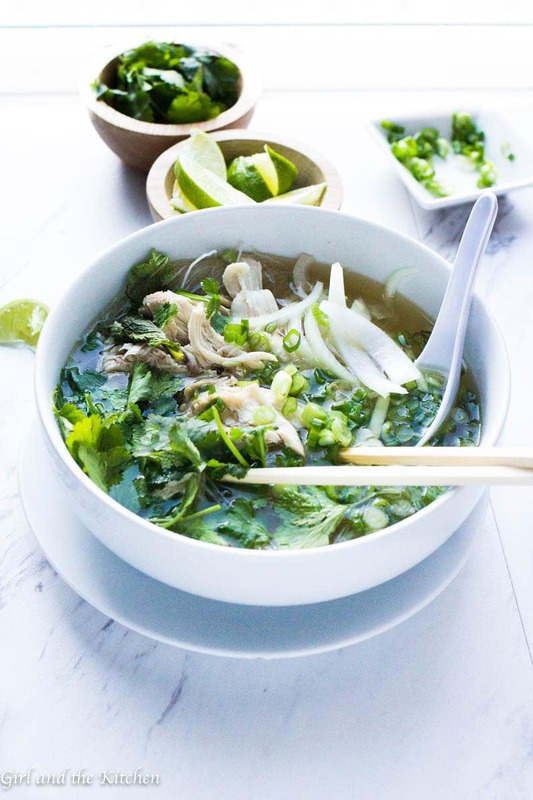 Aromatics: The remaining aromatics used in this Instant Pot Pho are quite simple but they add a huge punch of very necessary flavor. Cilantro is an obvious choice because it gives it that coriander flavor while still keeping it light and clean. And the most unusual but quite necessary flavor is fish sauce. Fish sauce has an extremely pungent smell so only a bit is used to give the pho that particular umami flavor. 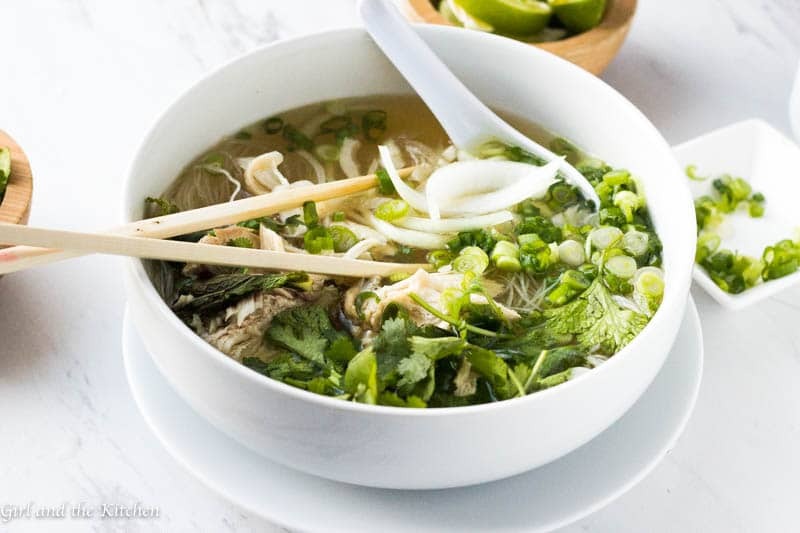 Chicken VS Beef: Classic pho is made with beef, tendon and bones. However, my issue with this is that it takes a great deal longer but also there is a great deal of cloudiness that comes up and later needs to be stained out. This is not the easy one step process I am looking for. Plus the broth is significantly heavier made with beef. Instead, I use bone in, skin on chicken breasts. I did the same method in my Instant Pot Chicken Noodle, Soup and it worked out beautifully. The Instant Pot did a beautiful job extracting all the flavor out of the chicken and enriching the soup with the perfect amount of flavor. In addition to chicken being the healthier option it also does not release as much scum. You know what scum is, it’s that coagulated foam that comes up to the top when the meat comes to a boil. With the beef, there is a great deal more scum and the broth is cloudier. This does not occur with chicken and therefore allows us to skip the step of straining the broth. 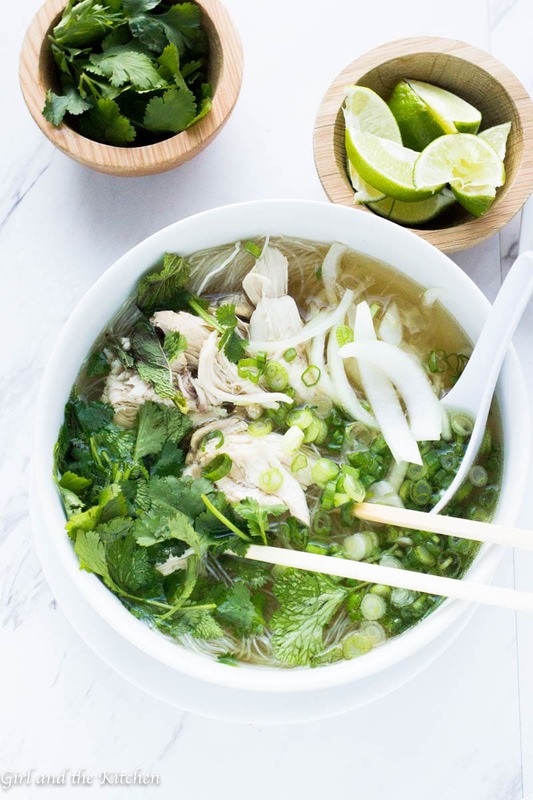 Finishing Touches: Classically of course the pho is served with rice noodles, cilantro, scallions, Thai basil (regular basil can be substituted if necessary), Thai chillies, mint, shredded chicken from the broth, lime wedges and my personal favorite thinly sliced raw onions. All these combine to give the soup a complex and delicious flavor. Even the raw onions manage to mellow out in the soup and just give it a tiny bite that compliments the sweet herbs beautifully. I served the Instant Pot pho to the hubs and the munchkin and they say silently slurping up the noodles and the broth. Munchkin of course loved it instantly once she saw the long noodles she got to slurp up. And hubs was ridiculously impressed with the flavor and complexity of the soup. “See I told you…you can make it as good as take out,” he proclaimed to me. Showing that he had confidence in me all along. I of course did not argue with him because clearly, I did produce a delicious and fast pho using the genius methods of my Instant Pot. Is this recipe missing chicken stock? or some other liquid? Hi Bill, there is water in the recipe. Just enough to come up to the max line in a 6 quart. 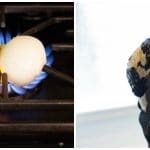 The process will take a lot longer on the stove. It would need to simmer very slowly for about 6-8 hours. Looks awesome. going Try to asap Thanks for Sharing With us. 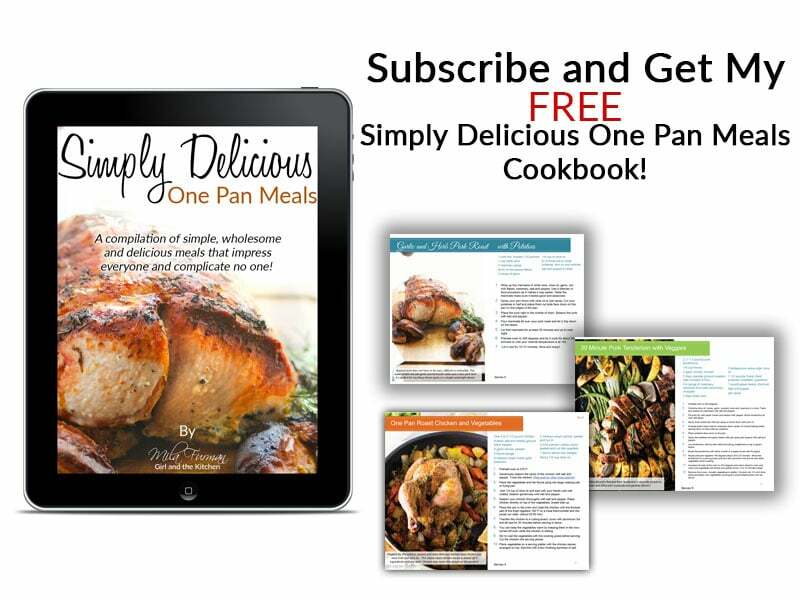 Great recipes, glad I found you. Awww thank you Martha!!!! I am glad to have you here!